When it comes to autofocus in video Canon’s Dual Pixel Auto Focus is the best implementation I’ve seen so far in any camera. The C200 touchscreen pairs up with the company’s DPAF system. Does it give the user the control you want? Let’s dive in and see. Canon implemented a very basic touc screen for the C200, but basic isn’t necessarily a bad thing. Sometimes less is more. The touchscreen has to be turned on in the menu and once it’s activated you can set the parameters of the DPAF. You have a lot of options on how sensitive you want it to be and if you want to use face detection. For touchscreen focus all you have to do is touch the screen and the focus box will move and focus. Speed of focus is what you need to set in the menu, and you have a lot of options to make the focus look more natural or really snappy. 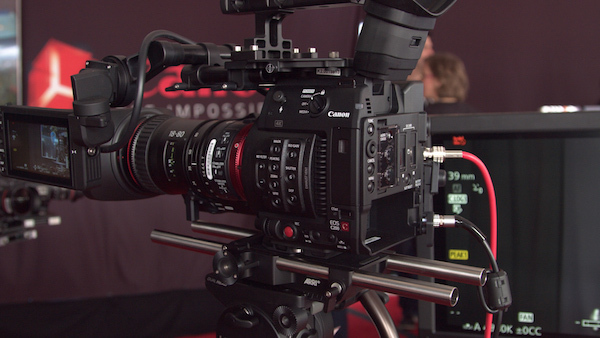 The C200 will focus anywhere in an 80 degree area inside the box. Simple and powerful. 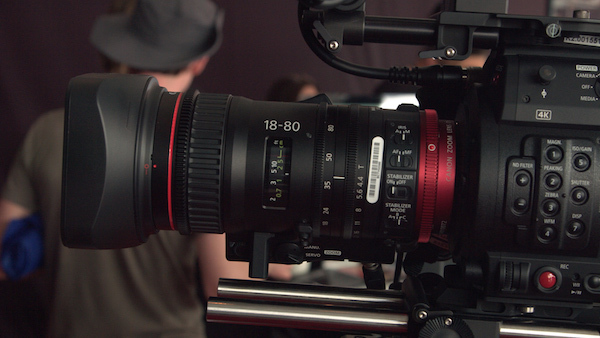 The AF performance is every bit as good as the C300 Mk II. The only difference here is the touchscreen allows the user to have more immediate control by simply tapping. 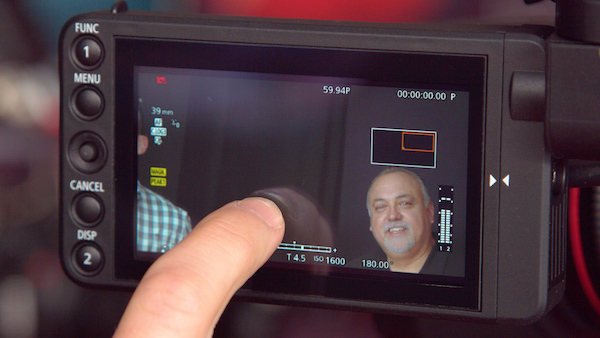 The one downside to the touchscreen is the LCD image isn’t as good as the C300 Mk II. Early on with DPAF Canon had a smaller selection of lens that performed best. 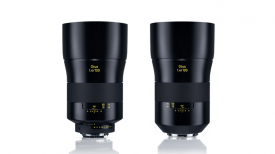 Now it seems almost all of the modern “L” lenses and STM models will perform very well with the autofocus feature. 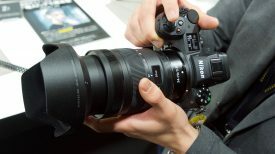 If you really want to get the best performance Canon says the new Cine 18-80 and 70-200 perform very well since the auto focus motors are fine tuned to do so. I love focus magnification and now you can use it with the touch screen too. You push the magnification button and now with your finger you can touch and drag around the display just as you would do using the mini joystick. This is a very nice, simple feature for checking focus. 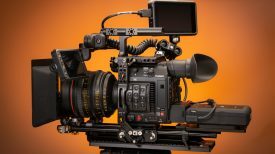 The Canon C200 might have a weaker codec than some people may want, but when it comes to autofocus in video Canon is the king of the hill. 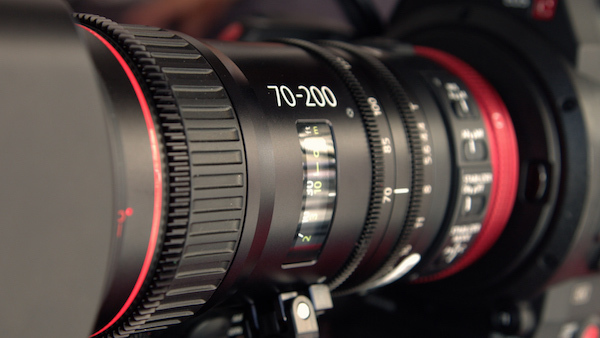 Add in touchscreen usability and the C200 is an autofocus shooting machine. Are DPAF and a touchscreen features that makes you want a C200? Let’s talk in the comment section below.